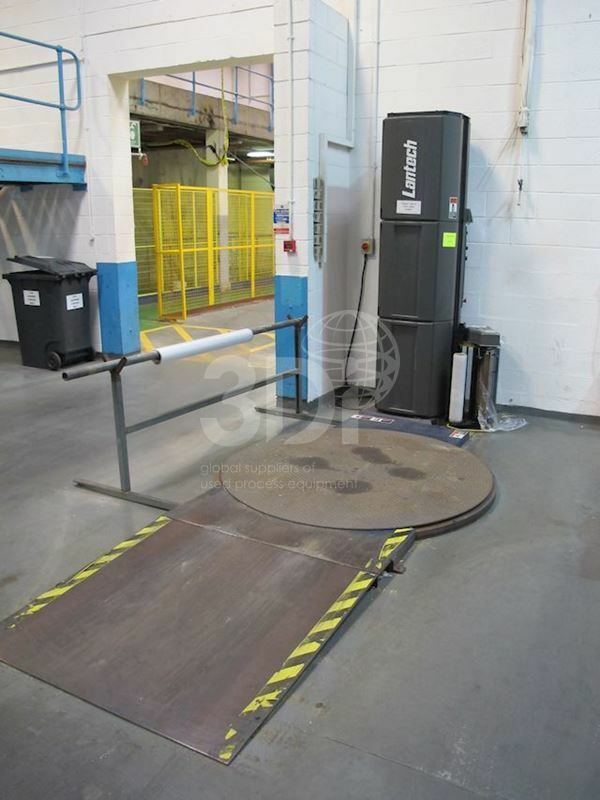 Used Semi-Automatic Stretch Wrapping System, manufactured by Lantech, Q-Series, Model Q300. Serial No. QM013243. Production Speed: 25-35 loads per hr. Maximum load weight 1814kg. Turntable size 1651mm. 220v, 1 phase, 50/60hz.